The fall Santa Barbara Vintners Celebration of Harvest Weekend will include wine maker dinners, winery and tasting room open houses, and library tastings over the weekend of October 12-14, 2018. Join us for the inaugural Solvang Stomp harvest street festival, Saturday, October 13, 2018. 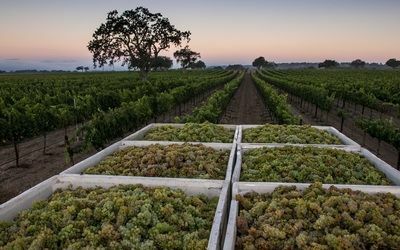 Celebrate the annual wine harvest with a traditional grape stomp, sip from dozens of Solvang and Santa Ynez Valley’s best wineries, savor locally prepared foods, drink pink in the I Love Rose Lounge and dance the afternoon away. Discover you inner Lucy or Ricky Ricardo and enter the I Love Lucy look-a-like contest.